Lightsworns are a series of LIGHT Attribute Monsters that debuted in Light of Destruction. The archetype helped redefine the game, offering increased speed and explosiveness through their then-unusual self-milling tactics. It wasn't long before Lightsworns exploded into the metagame and cemented themselves as a top tier deck. However, the Limiting of Lumina, Lightsworn Summoner, Necro Gardna (now Semi-Limited), and Charge of the Light Brigade, along with the Semi-Limiting of Honest (now Limited) and Judgment Dragon (now Unlimited), effectively killed the deck. However, Lightsworn remains a powerful deck, even today. ◾ Speed Lightsworns are one of the fastest decks around, drawing and milling through large portions of their Deck. ◾ Power Lightsworns have a number of boss Monsters that are easily summoned. ◾ Swarm Lightsworns can put lots of Monsters on the field at once. ◾ Destruction Many Lightsworns allow you to destroy cards, while JD can nuke the field excluding itself. ◾ Inconsistency Because Lightsworns rely on milling, there is a great deal of luck involved in playing the deck. ◾ Dead Draws Wulf, Lightsworn Beast, Necro Gardna, Celestia, Lightsworn Angel (with nothing to Tribute), Judgment Dragon (while less than 4 LS in Grave), and Black Luster Soldier - Envoy of the Beginning (with no DARKs in Grave) can clog your hand and limit your options. ◾ LIGHT Many players now side Leeching the Light or Light-Imprisoning Mirror for Agents, but these cards will cripple you too. Today, Lightsworns continue their self-milling strategies, while new innovations like Glow-Up Bulb, Plaguespreader Zombie, and BLS have given the deck more options. In the metagame, Lightsworn are a solid Tier 2; not likely to top any big events, but still a powerful deck. ◾ Aurkus, Lightsworn Druid Its effect prevents Lightsworn Monsters form being targeted, but in a type of deck that runs so few Traps, it's difficult to keep this 1200 ATK monster alive. 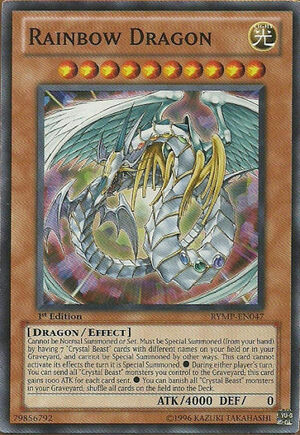 ◾ Celestia, Lightsworn Angel A Monarch-like, Lightsworn, Celestia lets you mill 4 to destroy 2 when it's Tribute Summoned. (Note that you have to Tribute a Lightsworn to use this effect.) One of the better Lightsworns. ◾ Ehren, Lightsworn Monk Ehren is a RotA target, and useful for countering X-Sabers and Spirit Reapers, the latter of which has seen a dramatic increase in play. ◾ Garoth, Lightsworn Warrior With a weird ATK score of 1850, Garoth is one of the bigger LS Monsters. Whenever a Lightsworn Monster mills cards, you mill an additional 2, and draw 1 for every Lightsworn you milled. It's a beatstick, a name, and a RotA target, but overall he doesn't bring a whole lot to the table. He's still a good choice though. ◾ Gragonith, Lightsworn Dragon The other Tribute Monster of the set, Gragonith can reach astronomically high ATK values (it gains 300 ATK for every LS of a different name in your Grave), and it does piercing damage. However, there's little need to pierce when you could just summon Celestia to destroy the defense position Monsters. It sounds much better than it actually is. Don't be fooled. ◾ Jain, Lightsworn Paladin Jain has 1800 ATK, and the ability to increase to 2100 when attacking. This lets (I still don't know if Jain is a boy or a girl...) him/her get over Monsters that would otherwise give you a lot of trouble, like Thunder King Rai-Oh. It's also a RotA target. ◾ Jenis, Lightsworn Mender A defensive Lightsworn with a bad effect. Don't use it. ◾ Judgment Dragon While not strictly a Lightsworn, this is the boss of the set. It can be dropped from the hand just by having 4 different Lightsworn Monsters in your Grave, and can nuke the field, excluding itself for only 1000 Life Points. An extremely powerful card. ◾ Lumina, Lightsworn Summoner Lumina lets you summon a level 4 or lower Lightsworn from your Graveyard by discarding a card from your hand. This means that the aforementioned issue of dead draws will instead turn your Graveyard into a reverse toolbox, giving you a multitude of options to power though your opponent's resources. ◾ Lyla, Lightsworn Sorceress One of the best Lightsworn Monsters, Lyla is one of the better milling engines, and also lets you destroy a Spell or Trap card by switching it to defense mode. ◾ Rinyan, Lightsworn Rogue A card that undoes all your hard work of milling. If you want to run a flip effect monster, just run Ryko. ◾ Ryko, Lightsworn Hunter One of the best LS monsters, this little dog has also seen play outside of Lightsworns for the milling and destruction it offers. ◾ Shire, Lightsworn Spirit A non-Tribute version of Gragonith with abysmal starting stats and no piercing effect. It's difficult to use effectively. Avoid it. ◾ Wulf, Lightsworn Beast Wulf is a 2100 beater that can't be Normal Summoned or Set. Why use it then? It Special Summons itself when it's milled, that's why. Free 2100 beaters are awesome. Also, if you happen to draw one you can pitch it for Lumina or Beckoning Light. ◾ Charge of the Light Brigade Charge is the Lightsworn version of Reinforcement of the Army, and it also mills 3 for you. A great card for the deck. ◾ Lightsworn Sabre I shouldn't have to tell you that Equip Spells are terrible, and this is no exception. ◾ Solar Recharge Discard one Lightsworn, Draw 2, and mill 2. Pitch dead cards, draw good cards, and mill cards that you want in the Grave, at no loss of advantage. Sounds great, and it is. ◾ Glorious Illusion Call of the Haunted is better. ◾ Light Spiral Utterly pointless. ◾ Lightsworn Barrier This is why you have Necro Gardna and Honest. Completely unneeded. ◾ Vanquishing Light A Lightsworn version of Horn of Heaven (an already bad card) that doesn't add anything new. ◾ Black Luster Soldier - Envoy of the Beginning BLS is a game-winnning card, and in a deck that already runs both LIGHTs and DARKs it's a no-brainer. ◾ Gorz the Emissary of Darkness Gorz is essentially a Staple, especially for Decks that don't get cards stuck on the field. The fact that it is DARK is great news for BLS. ◾ Honest Honest turns the tide of any battle involving a Lightsworn Monster. It's great for getting rid of threats. ◾ Tour Guide From the Underworld A DARK that gets another DARK and allows for plays with Leviair the Sea Dragon. It's a great choice for the deck. ◾ Sangan A good floater and the other piece of the Tour Guide engine. ◾ Necro Gardna Just mill it into your Graveyard and you can negate an attack whenever you want. The implications of this are astounding. It's also DARK for BLS. ◾ Plaguespreader Zombie Plaguespreader Zombie is a DARK Tuner that can Special Summon itself form the Graveyard by returning a card from your hand to the top of the deck. This both opens the door to Synchro Summons and allows you to stack dead Wulfs onto your deck to be milled. It's also DARK for BLS. ◾ Tragoedia Similar to Gorz but not quite as good, this card can be summoned form the Hand when you take battle damage and is a DARK for BLS. ◾ Glow-Up Bulb Not only is it a Tuner that can Special Summon itself from the Graveyard, it mills a card in order to do so. It's a great choice. ◾ Lonefire Blossom Plant builds use this to search the other Plants. ◾ Spore Plant builds use this as a Tuner that can Special Summon itself from the Grave. ◾ Dandylion Seen most often in Plant builds, but it gives you two free Tokens when it's milled, so other variants can play it as well. ◾ Debris Dragon If you're going to play the Plant Engine, you might as well play Debris Dragon. ◾ Chaos Sorcerer For builds with more DARK Monsters, this is an excellent option. ◾ Kycoo the Ghost Destroyer Kycoo is an anti-meta tech used in Chaos builds for Extra DARK Monsters. ◾ Magical Merchant This little critter offers massive amounts of Monster-exclusive milling. Most variants don't use it, but it's good in Sephylon Merchant builds. ◾ Sephylon, the Ultimate Time Lord High monster builds, especially Merchant builds, can use this effectively. ◾ Foolish Burial The ability to specifically mill a Wulf, Plague, or Glow-Up gives you a lot of options. It's also good for getting that extra name in yor Grave for JD, or the DARK for BLS. ◾ Gold Sarcophagus Rather than watching your JDs and BLS get milled, pull them out of the Deck to claim them two turns later. ◾ Monster Reincarnation Though technically a minus, it lets you grab back something you didn't want to mill (like that Judgment Dragon), and if you get JD or BLS it's totally worth it. ◾ Reinforcement of the Army With the Limiting of Charge, many LS players are turning to this card as a replacement. ◾ Beckoning Light This lets you trade your hand of Wulfs and Necros for Lumina, Honest, JD, BLS, and anything you want, really. Awesome. ◾ Royal Decree Since you're forced to play a low Trap Count, you might as well make the opponent play on your level. Note, however, that it intereferes with Gorz.